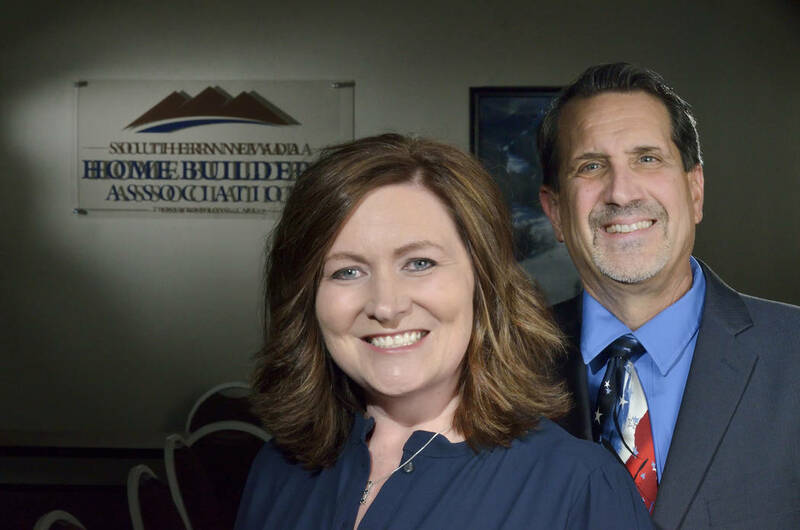 Southern Nevada Home Builders Association dedicates itself to enhancing quality of life by meeting the housing and community development needs of Southern Nevada. It is also the driving force behind HomeAid Southern Nevada, a nonprofit organization that provides support and assists with local community outreach efforts that serve homeless men, women and children. Janet Love serves as the first female president in 13 years, and second female president ever, of SNHBA. Currently president of StoryBook Homes Las Vegas, Love recalls how she came to Southern Nevada to get her start — breaking into the industry and breaking the mold. “I had family here and decided I wanted to move away from my job in the automotive industry. Las Vegas provided a chance to try something new, and homebuilding presented itself as an interesting opportunity,” Love said. She started at KB Home as a project coordinator in 2002 and ascended through the ranks to finally become the director of purchasing, and eventually president of StoryBook Homes in 2017. That professional journey cultivated a well-rounded knowledge that encompassed every aspect of the homebuilding process, from zoning to purchasing. The 2008 housing crisis devastated the country, and Southern Nevada was not excluded from that downturn — but it did force expedited professional development, throwing Vegas builders into the lion’s den and challenging everyone to become even stronger experts. Love recalled her job responsibilities increasing, going from having to wear one to two hats, to wearing dozens in order to manage the strife. Now, 10 years later, she’s a boss, thought leader and deeply connected resource who is dedicated to aiding the thousands of workers that exist within the flourishing homebuilding community. Love looks forward to leading SNHBA in 2019, going through the legislative session, navigating the unknowns and conquering the challenges. Her closest confidant and associate in the homebuilding space these days is SNHBA’s Chief Executive Officer Nat Hodgson, who directs and manages the organization’s vision and sees the overall accomplishment of its goals. His duties also include lobbying local, state and national government on issues that pertain to the industry, and overseeing HomeAid, the organization’s charity that provides support and assists in community outreach efforts to tackle homelessness in Southern Nevada. Hodgson, in fact finds, himself at work in the daily company of women — SNHBA’s staff is about 85 percent female. He notes that 2019 wasted no time filling up his calendar, and SNHBA will be extremely busy navigating this year’s legislative session. A newly elected governor, as well as several assembly bills will keep his plate particularly full. The association will go up to bat for builders, ensuring Nevada lawmakers are enacting legislation that keeps costs down for builders to see that Las Vegas’s housing economy will continue to thrive. In addition, SNHBA puts in a great effort into cultivating future workers, amid a pervasive and nationwide epidemic of talent shortage in the construction industry. The association’s workforce development program sees routine visits to various high schools and middle schools to educate on career opportunities, including everything from swinging hammers to leading in management roles. 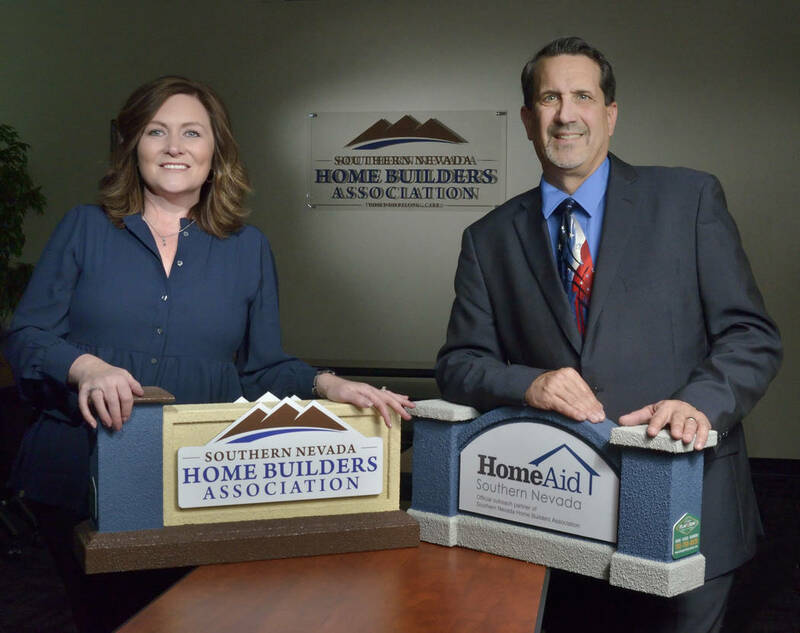 Hodgson will also oversee more initiatives through SHNBA’s charity, HomeAid, which in the last few years has partnered with organizations such as U.S. Vets Las Vegas and Neighborhood Housing Services of Southern Nevada to aid homeless populations. In 2017, HomeAid assembled volunteers to facilitate a $460,000 renovation to U.S. Vets’ kitchen, improving the space and allowing the veteran-aiding nonprofit to provide its veteran tenants with three healthy and nutritious meals each day. Most recently, the organization completed the renovation of six apartment buildings at Calcaterra Circle near the Las Vegas Strip, providing 42 units that can accommodate lower-income families. For this project, HomeAid and its partners donated 97 percent of total costs on the project, totaling more than $807,000.